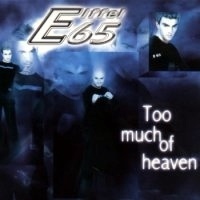 14/04/2019 : Members of Eiffel 65 were interviewed by Vice about their hit Blue. 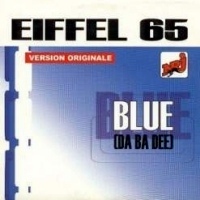 02/01/2018 : Bottai did a remixes package for Eiffel 65's anthem Blue (Da Ba Dee). 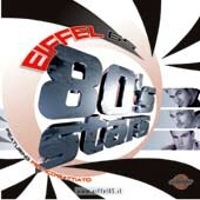 17/09/2016 : Eiffel 65's hit Blue (Da Ba Dee) was covered by Sound Of Legend. 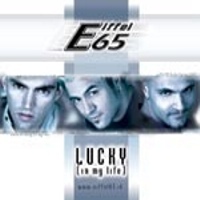 02/06/2016 : Last week, Eiffel 65 released their new single Panico. 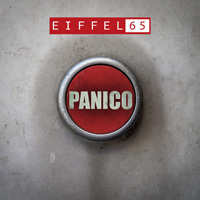 28/05/2016 : Eiffel 65 publisehd the videoclip for their new single Panico. This is a 360° video which contains hidden letters, which put together will provide you a hidden code for an exclusive gift. 01/04/2016 : Eiffel 65's new single Panico will premiere on April 2nd during Zarro Night event in Trezzo sull'Adda. 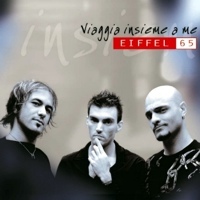 19/09/2015 : Maurizio Lobina announced that a new Eiffel 65 album was planned. Label : Bliss Corporation. 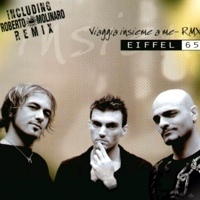 Eiffel 65 is formed by Jeffrey Jey (who writes the lyrics) Maurizio Lobina and Gabry Ponte. Maurizio Lobina was born in Asti, he started studying the piano at the age of 5 and got into his first band at the age of ten. He grew up listening to all kinds of music and playing practically everything from house to reggae. This has made Maurizio one of the most incredibly talented Bliss Co. musicians. Famous also for his long and fast fingers. In the BlissCo World he is in charge as well of the A/R Dept. Gabriele is a professionnal DJ, he mixes the tracks for the group (under the name of DJ Gabry Bridge) and appears on the stage. The project's name was chosen by chance. They entered many words they liked in a software that allows to create names from words according to the coincidence principle. 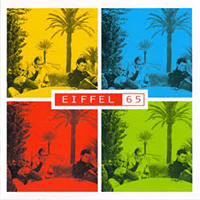 Eiffel came out, and the number 65 was added by mistake afterwards. 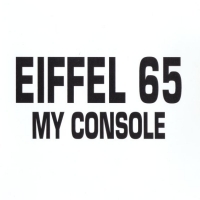 The '65' was part of a phone number that was inadvertently scribbled next to the name 'Eiffel' when the text was submitted for printing. 'To find a name of a group it is always a delicate process, in how much it would have to represent the artist or the music'. 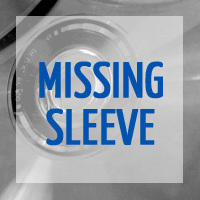 Their debut single, Blue (Da Ba Dee), with its vocoder-enhanced vocals, topped the charts in England (where it 2nd best selling single for the year 1999), Germany, France, Canada, Australia, Spain, Switzerland, Austria, Denmark, Sweden, Finland, Norway, Greece, Belgium, Holland, and Ireland, and became a long-lasting number one. In Italy it was ran every 150 seconds according to statistics and went Platinum. In Israel it was number 1 and reached # 6 in the USA. Once it's heard, it's never forgotten, as its lasting hook, uplifting verses and body-rocking rhythem are pure energy shot straight to the heart. It's inception began with Maurizio's piano riff before Jeffrey wrote the lyrics. 'Maurizio said 'come up with strange lyrics,'' explains Jeffrey. 'I started thinking about the way people are and about lifestyles-the way you buy your house, pick your girlfriend, your job, or the neighborhood in which you live. Then I came up with a color, a color that describes someone's lifestyle.' The text of Blue is based on the persons and as they are made. 'That is, everyone of we has of the ideas, opinions and a style of life that prefers. I identify this with a color, in the case of Blue the crowds are alive, a funny protagonist in a way that it wants to paint with the blue color. Blue like the sky, the sea, the Earth seen from the space and beautiful the Corvettes of years 70.' they explain. Blue was also released, almost at the same time, by Stay C Paton in the Netherlands. 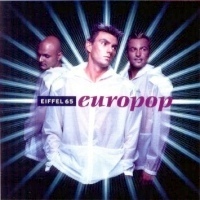 The debut album of the band, Europop, contains 13 tracks, all kind of music in the limits of Eiffel 65, and went double Platinum. 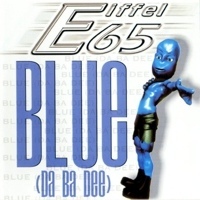 In Findance Awards '99, Eiffel 65 was chosen for the second best band of the year, the best newcomer band and their song, Blue (Da Ba Dee), was the second best song of the year. The music video of Blue was the second best music video of the year. Meanwhile, they remixed Kim Lukas' single All I Want and a single of Ann Lee. Their second single, Move Your Body, was also quite successful since it went number one in 7 countries. It reached # 24 in Israel, # 3 in UK. It was followed by Too Much Of Heaven, a more low-tempo track, saying that the people are only thinkin' about money, forgeting about what's really important : love, friendship. It went # 1 in Israel and # 1 in Italy. 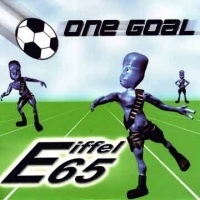 Their following release was entitled One Goal (for the Euro 2000 football championship). 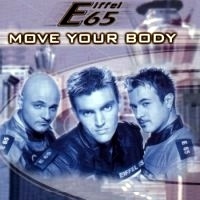 During the Summer 2000, Eiffel 65 toured in the whole United States, from New York (in May) to San Francisco (in July). which means that is incredible to understand how small we are compared to the great space that surrounds us and where it ends and where it begins". 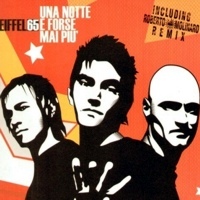 Eiffel 65 participated at the Los Angeles Grammy Awards 2001, where they received a nomination as Best Dance Group, together with Baha Man, Jennifer Lopez, Moby and Enrique Iglesias. On the 2nd of May, 2001 they participated in the World Music Awards in Monte Carlo, as award presenters. On the 15 of May, 2001, they went to Los Angeles to receive an award from B.M.I. U.S.A. for the hit Blue. This prize was being awarded for the "most played song of U.S. radio during the year 2000". 2 singles have already been released from this forthcoming album. The first one is Back In Time, released in the beginning of 2001, the seoncd one is Lucky (In My Life), to be released after the 20th of May. It has been chosen as a single because of its sunny and summery style. 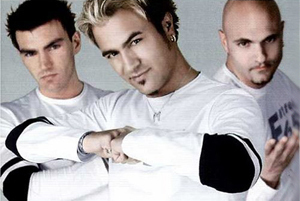 Eiffel 65 will participate at Festivalbar, where they will be introducing the new single. They will be singing 4 times, including the final evening. 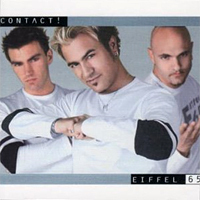 The new album, released in 2001, was entitled Contact. 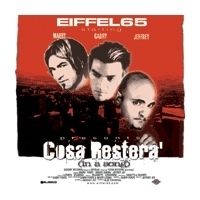 Then a new single came out in 2002 : it was called Cosa Resterá (In A Song). The track Elephants In Amsterdam was not released as single, it was going to be included in the album Contact. Bliss Corporation gave it as award to the winners of one online contest on July 19th of 2002. 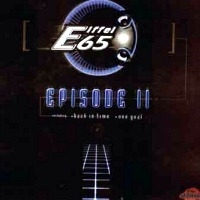 Eiffel 65's third album was at first planned for October 2002 but it was delayed. 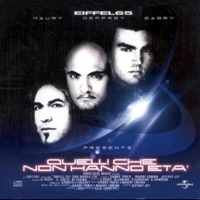 2003 : Eiffel 65 took part to San Remo awards contest with their freshly released single Quelli Che Non Hanno Eta. It was their first "totally italian spoken" song... The record appears to work good. 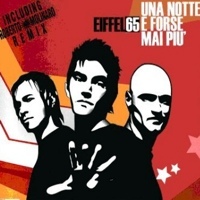 Meanwhile DJ Gabry Ponte of Eiffel 65's new single is De Musica Tonante which contains a remix of Geordie which is also a radio single by Londonbridge. He also has been playing a remix of The Man In The Moon in his DJ sets. 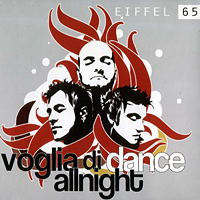 2004 : their new single was entitled Tu Credi / Voglia Di Dance All Night. 2006 : After Gabry Ponte left the group, Jeff and Maury created a new project called Bloom 06. 2009 : Bloom 06 contributed to a remake of Alexia's song Il Branco. The new version is in English, entitled "We" is the power. It was included on her new album Ale & C.